Don’t you hate it when you have a tight deadline and you would need to call your client to clarify on certain things before you could come out with a proposal but suddenly your mobile phone decided to die right in the grasp of your hand? I had that experience barely few days back. Luckily there was the office phone or the whole deal would have gone down the drain with all the efforts I had put in. Phew! Thank goodness! Since I required only a simple phone without any built-in camera or complicated features, I purchased the LG KP110 at an amazing low price. The music phone is the latest version of LG’s bullet series, which constitutes one of the low priced GPRS enabled handset. 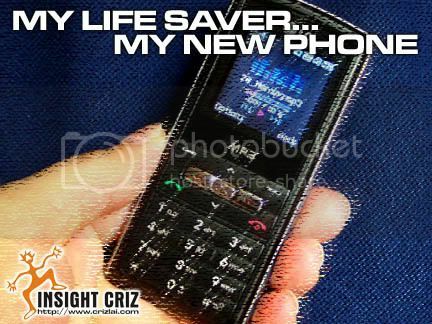 There were a few enhanced features of the budget phone such as the FM Radio with the headset as the antenna and a MP3 playback where songs can be stored in the given 1GB micro sd card as in the bundled deal. There were also the WAP connectivity, hands-free speaker, inbuilt anti-theft mobile tracker, vibration alert system, ability to store 500 phone numbers and 500 messages. The battery of the LG KP 110 is sufficient for 4 hrs talk time and 400 hours of standby time. So far, I’m happy with the simplicity of the functions and also the elegant outlook of its design. Even the SMS function is using the T9 dictionary assist feature which made messaging rather easy. As for the MP3 playback, the sound is crystal clear. You can even change the player’s skin and set your equalizer to your music genre plus setting your music play list to shuffle or repeat mode. I would say it’s a great bargain for users like me. Next PostNext HOW AM I GOING TO GET THROUGH THAT TRAIL?